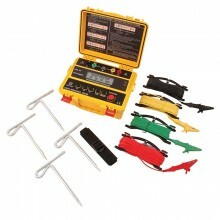 Includes: Test leads, 20m red crock clip lead, 10m yellow crock clip lead, 5m green crock clip lead, simplified measurement probes, auxiliary earth spikes, batteries K4105a Manual and carry case. 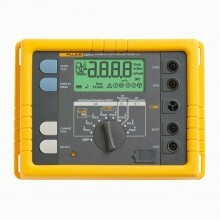 The Kewtech KEW4105A is an earth resistance tester for testing power distribution lines, in-house wiring system, electrical appliances etc. 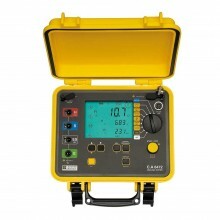 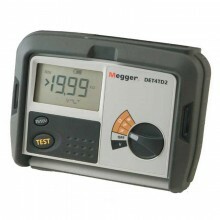 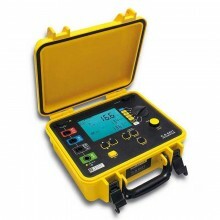 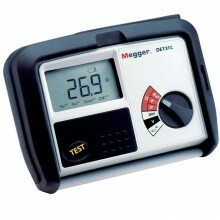 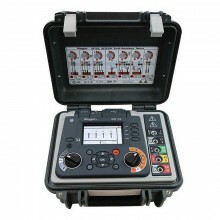 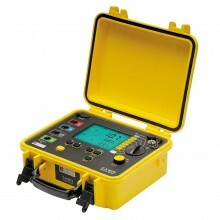 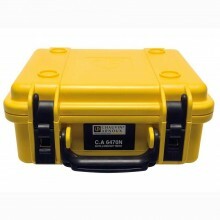 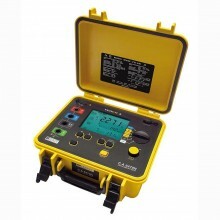 It also has an earth voltage range for earth voltage measurement. 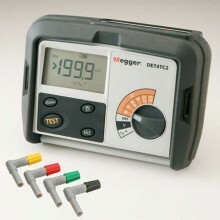 The KEW4105A makes earth resistance measurement with fall-of-potential method, which is a method to obtain earth resistance value Rx by applying AC constant current I between the measurement object E (earth electrode) and C (current electrode), and finding out the potential difference V between E and P (potential electrode). 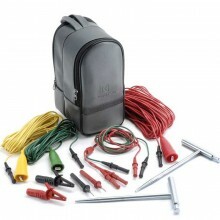 In addition to the facility for precision measurement, test leads for simplified two wire measuring system also supplied as standard accessories with the KEW K4105A. 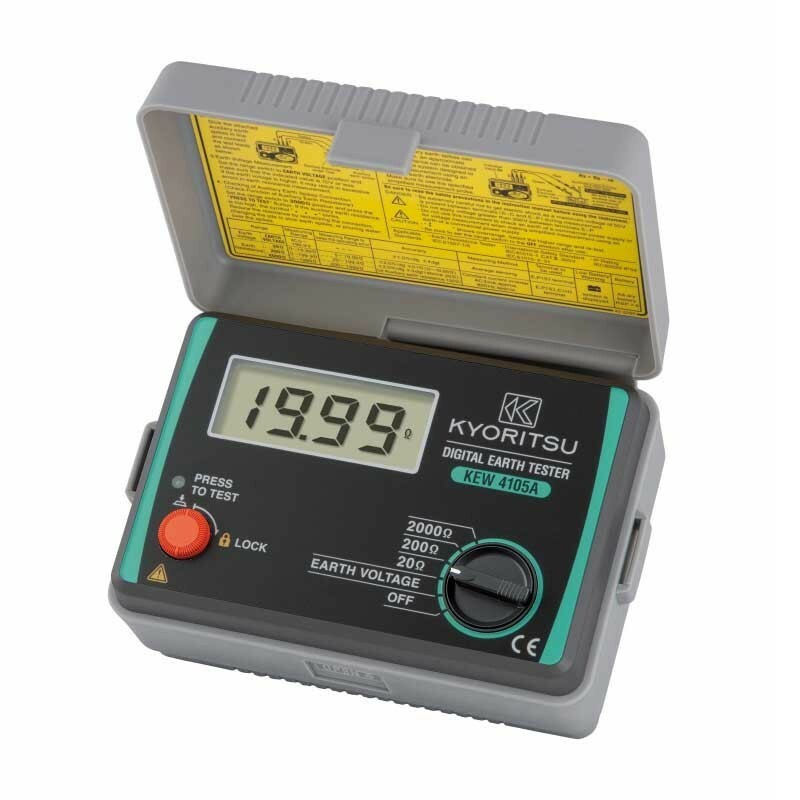 20 / 200 / 2000Ω earth resistance ranges. 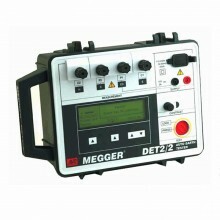 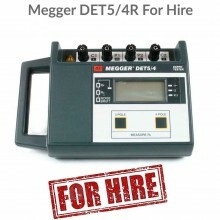 Allows earth resistance testing without tripping earth leakage current breakers. 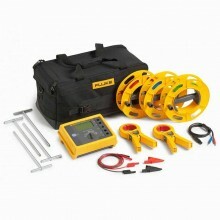 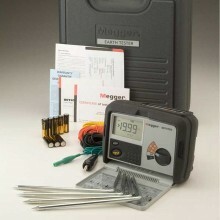 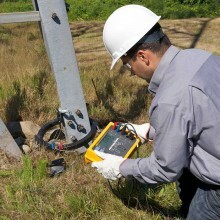 2 wire simplified measurement system included as standard. 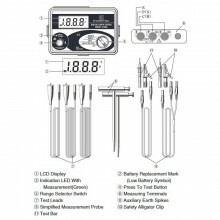 Automatic warning of excess tolerance of auxiliary earth spikes. 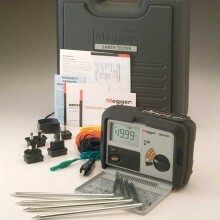 Earth Resistance Ranges 20 Ω, 200 Ω, 2000 Ω. 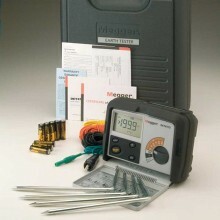 Earth Voltage Range 200 V ac. Withstand Voltage 3700 V ac for 1 minute. 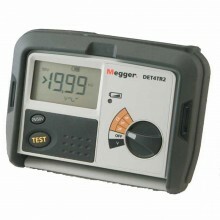 ±(2% + 3dgt) (200 Ω, 2000 Ω ranges). 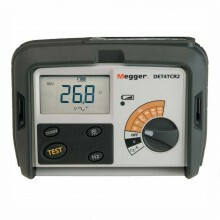 Operating Temperature and Humidity 0 - 40°C, relative humidity 85% or less (no condensation). 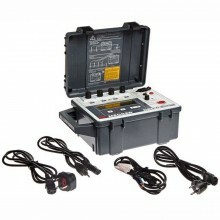 Insulation Resistance 5MΩ or more at 500V between the electrical circuit and the housing case. 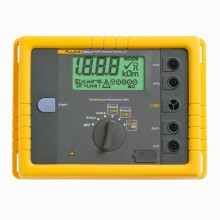 Power Source 6 x 1.5 V AA. 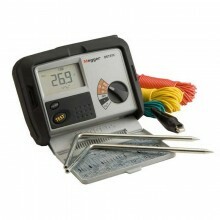 Dimensions 105 x 158 x 70 mm. Kewtech KEW4105A warranty 2 year. 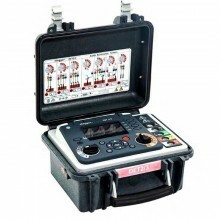 PDF Specifications of the Kewtech KEW4105A Digital Earth Resistance Tester.